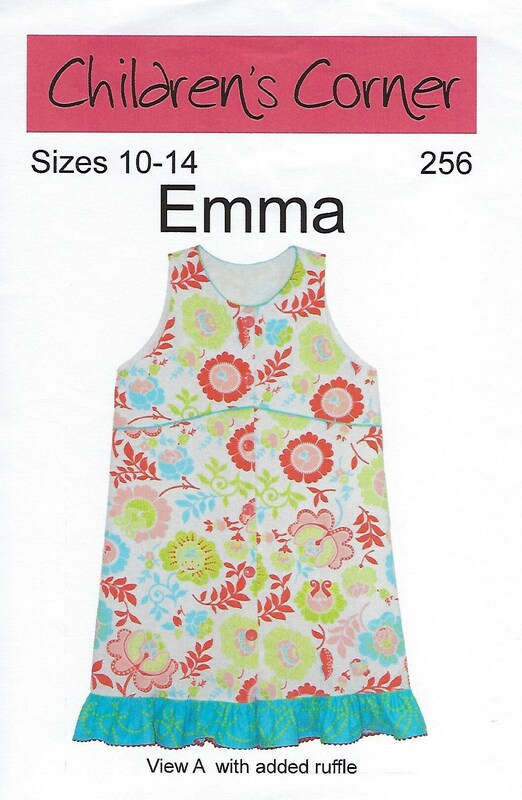 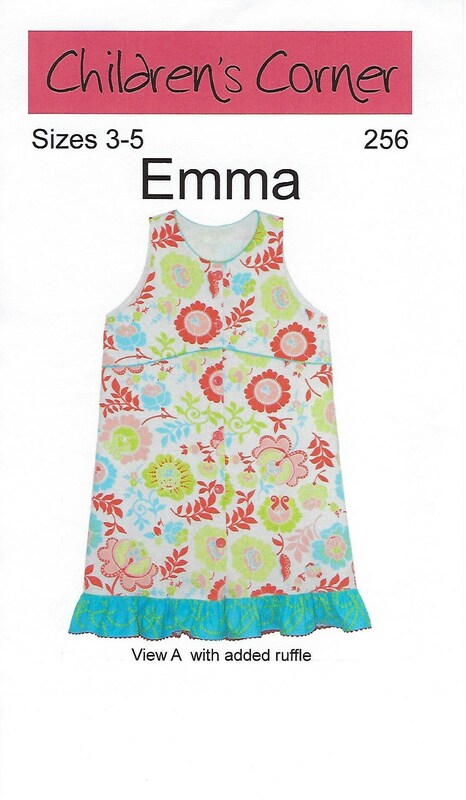 DESCRIPTION: EMMA is a lined dress that buttons down the front and comes to just the bottom of the knees. 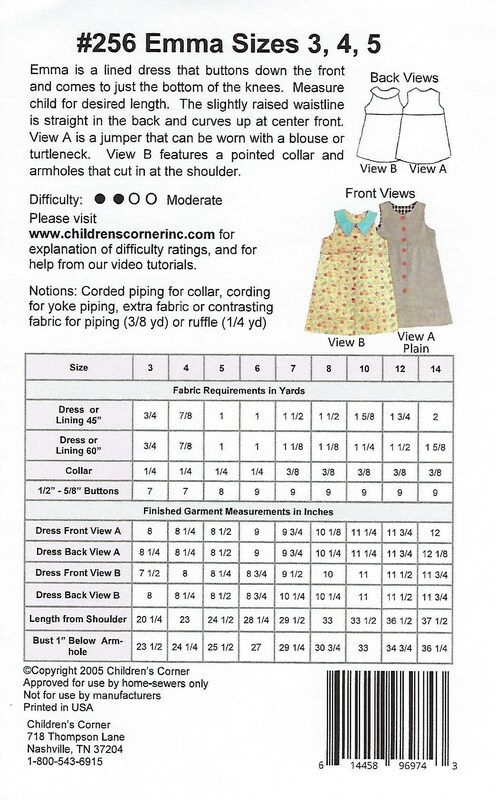 Measure child for desired length. 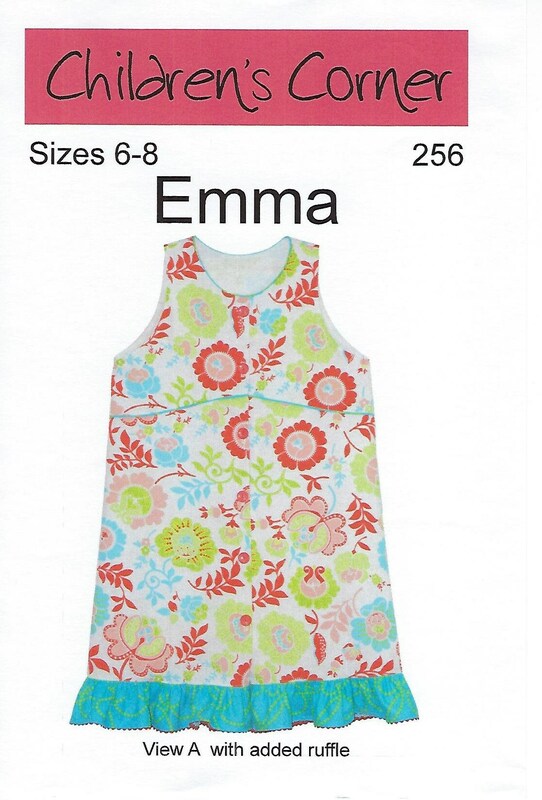 The slightly raised waistline is straight in the back and curves up at center front. 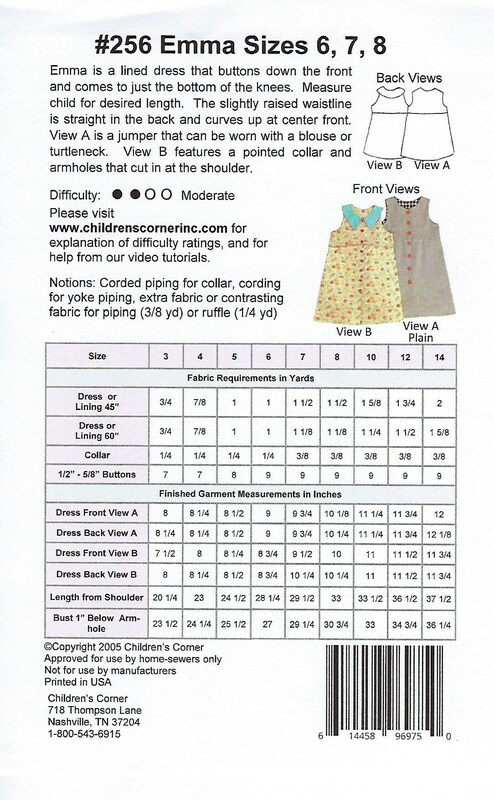 View A is a jumper that can be worn with a blouse or turtleneck. 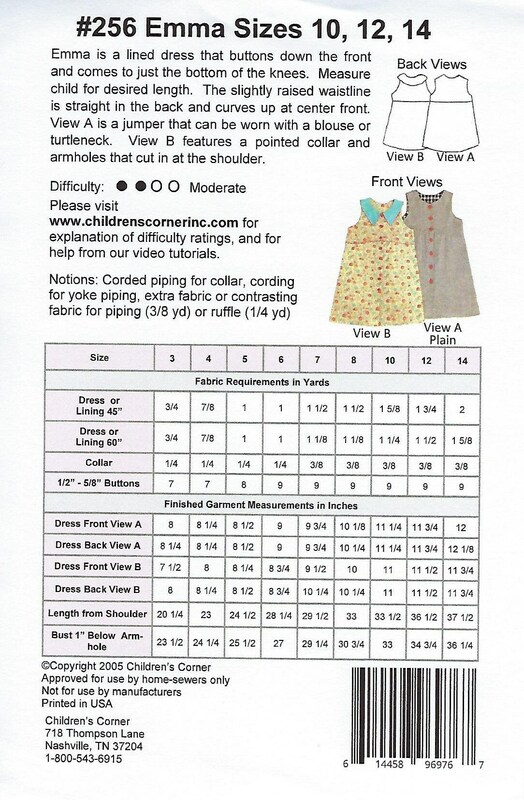 View B features a pointed collar and armholes that cut in at the shoulder.